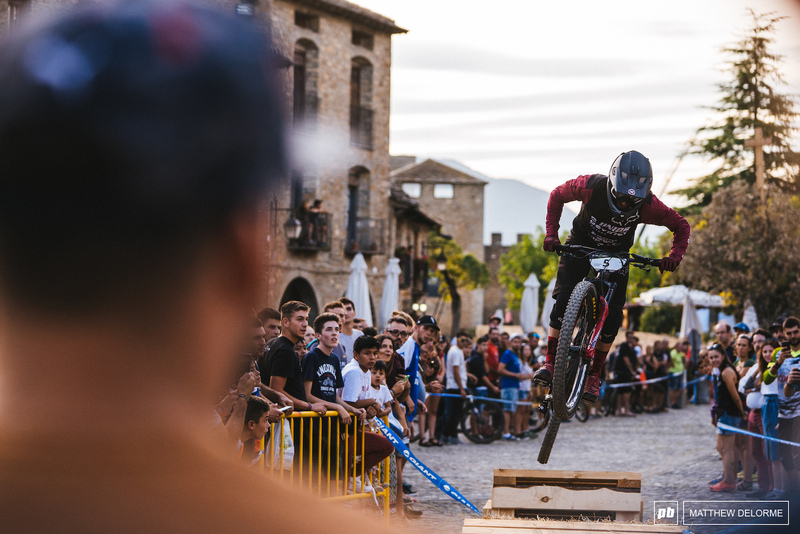 After a three year hiatus from the circuit, the EWS has returned to Ainsa with lots of enthusiasm from racers and support staff alike. 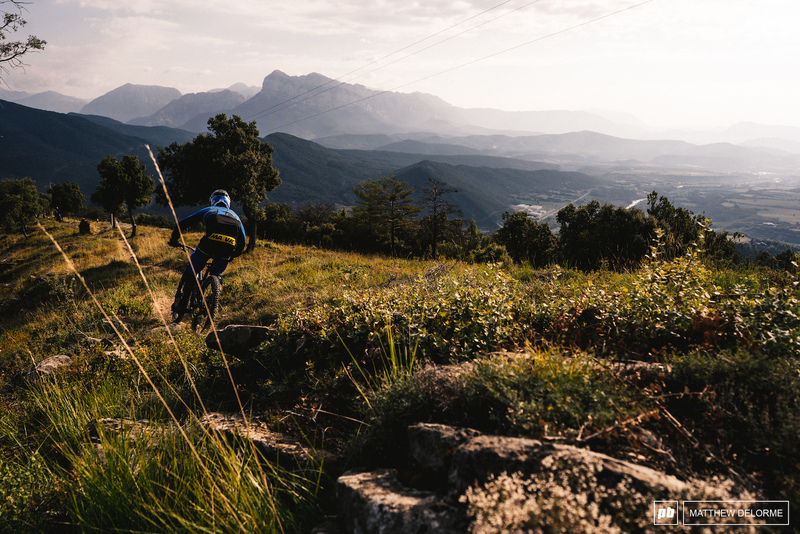 A truly unique venue with amazing natural trails, Ainsa was an instant favorite in 2015 and many have been waiting impatiently to make this return visit ever since. 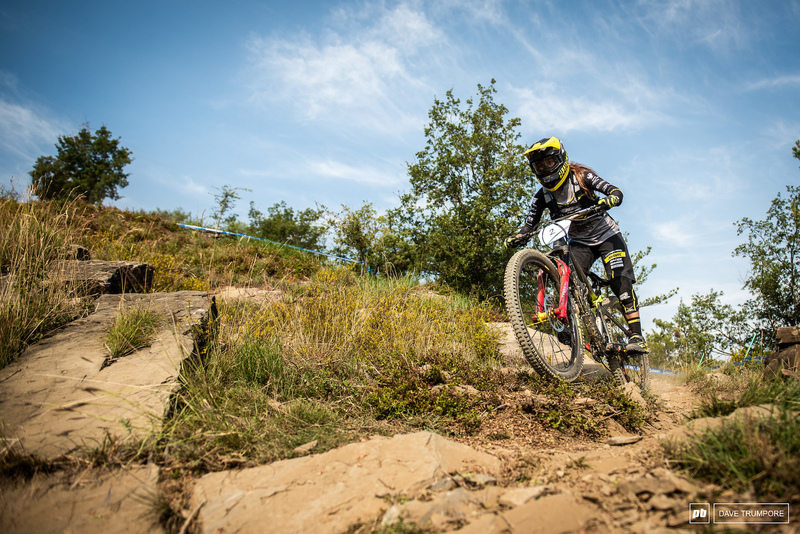 Believe it or not, the sun is blazing down and the trails are super dry and dusty which is a welcome departure from the rain that seems to have plagued the "Enduro Wet Series" the past two seasons. 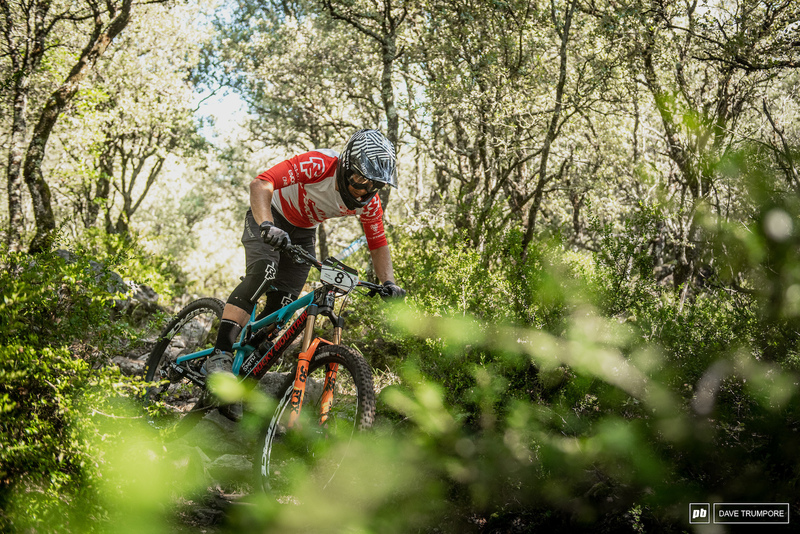 With some entirely new trail systems being used for this visit to Ainsa, racers will find themselves challenged by four completely unseen trails in addition to three of the classic stages from the previous EWS here. With one of those classic trails being raced for the first time after being canceled due to a flash flood in 2015. 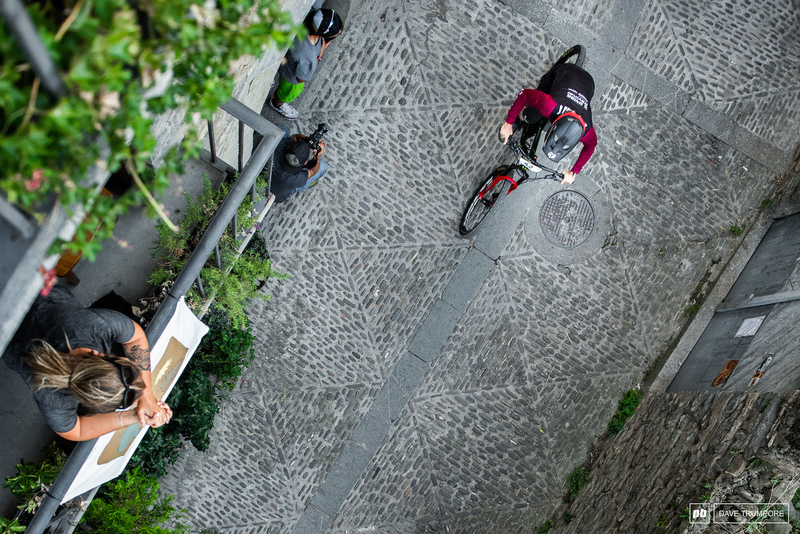 The race start is quite physical as riders navigate some long traverses and punchy climbs on the long first and second stage, before heading into some fast and rough old favorites for Stages 3 &4 on day 1. On day 2, racers will head up high to descend back down a rocky open ridge line and a countless number of switchbacks to start the day. Stage 6 makes its way down some very fast and exposed knife-edge ridge lines that might not sit well for those afraid of heights. And the final Stage 7 is a mix of rock forest singletrack and steep tight switchbacks to close out a day far less physical than the first. 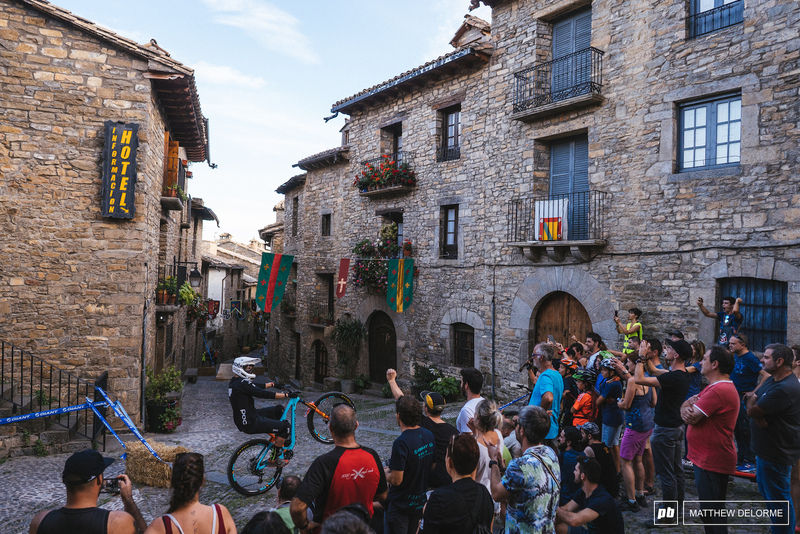 There is also a prologue through the medieval village on Friday night to get the party started and to showcase the unique race village hidden behind the castle walls. Despite being mandatory for all racers it is not timed and has no bearing on the race in any way. 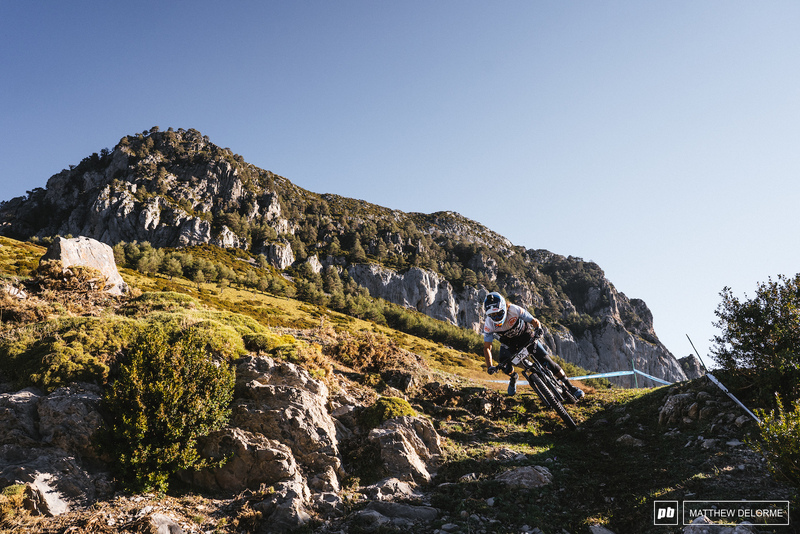 With only one run of training allowed on each stage, it will once again be a test of who can best memorize the plethora of line options, as well as adapt on the fly as conditions change come race day. 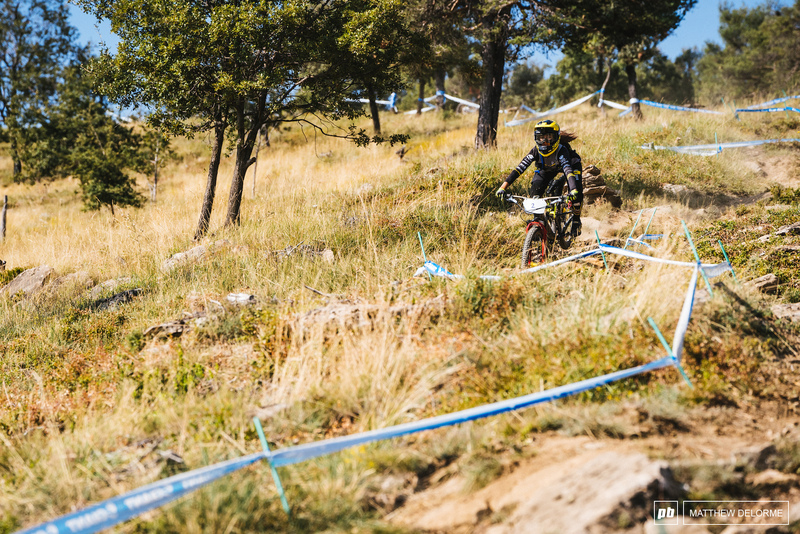 No rain in Spain for this round of the Enduro World Series. 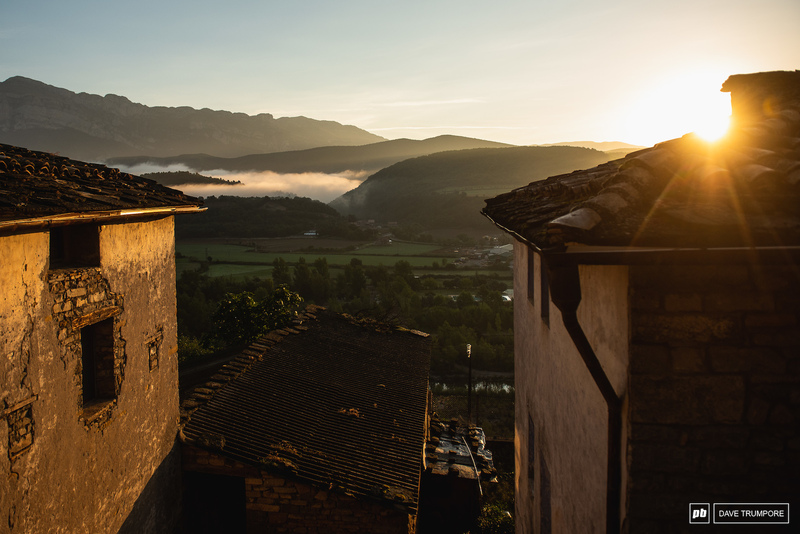 Beautiful mornings have kicked off each day in Ainsa so far. Those mountains though. You have to love the layers here. 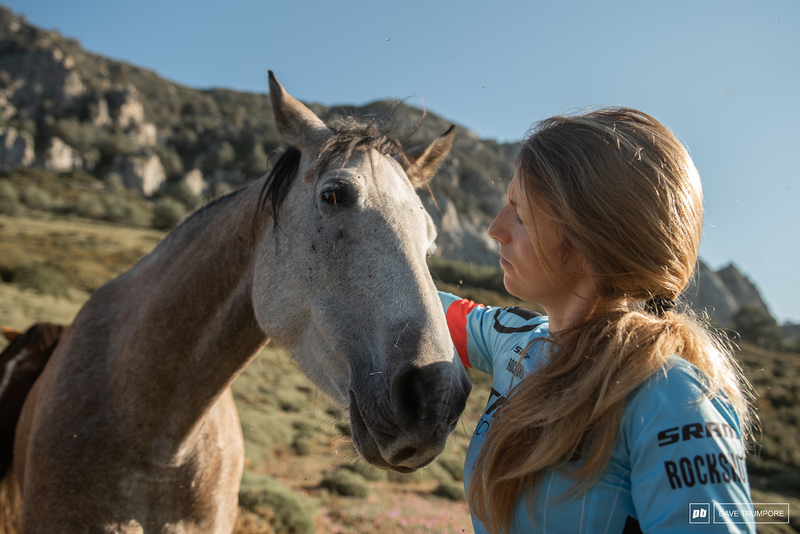 Casey Brown seems to make friends with the locals wherever she goes. Cody Kelley drops into the opening stage of the week in style. 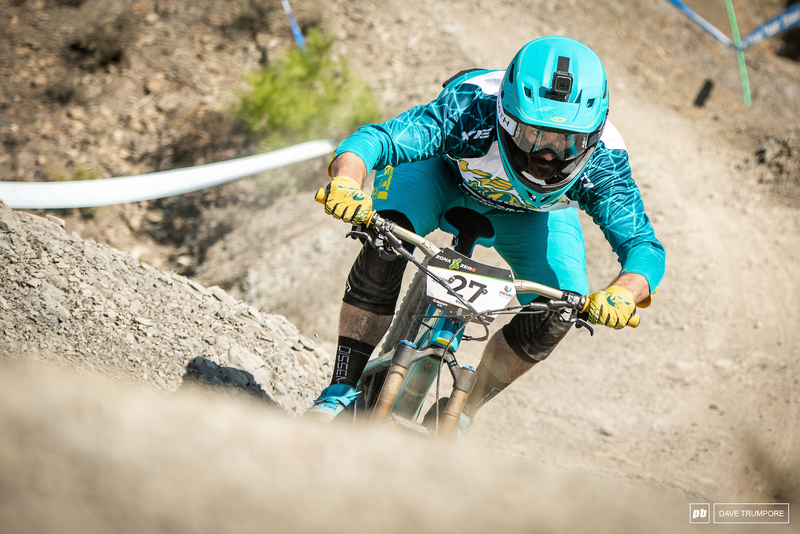 Richie Rude crushed the competition here in 2015 and loves racing in dry and dusty conditions. If practice is any indication, the two-time champ looks to be on it this week. Mckay Vezina gets things started on Stage 1. 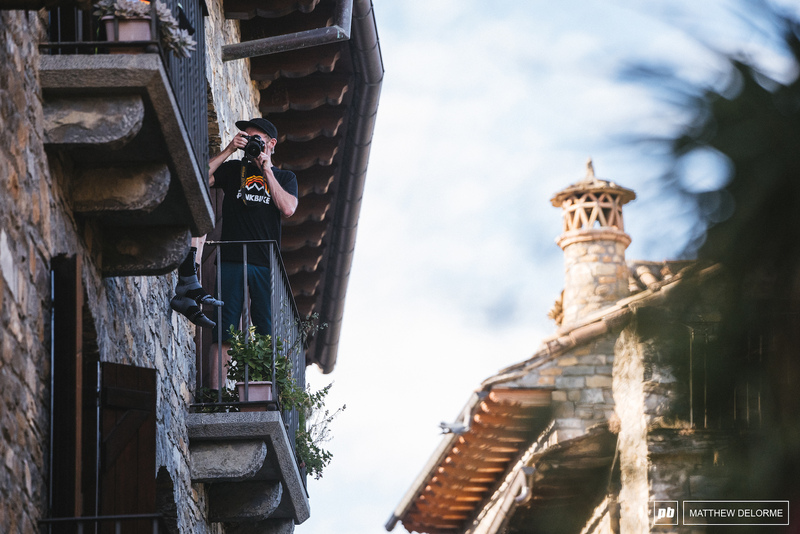 The last time the EWS stopped in Ainsa, Yoann Barelli walked away with a second place trophy. 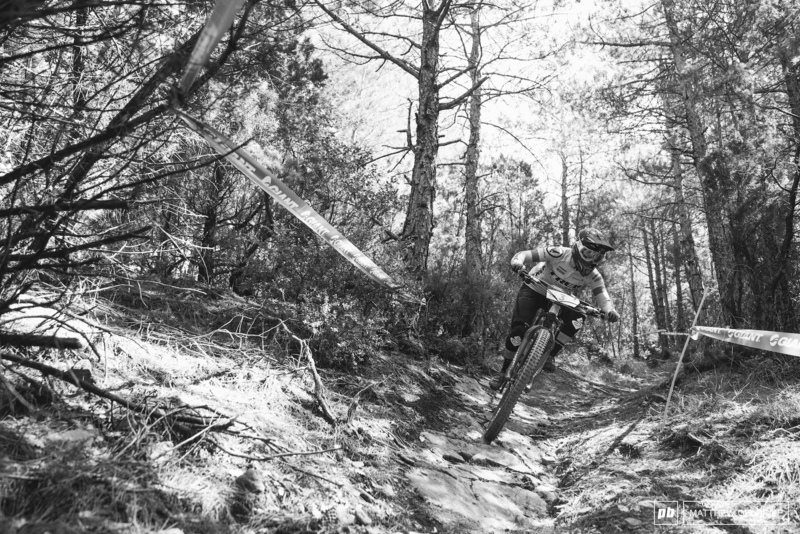 Mark Scott cutting through the Spanish dust. 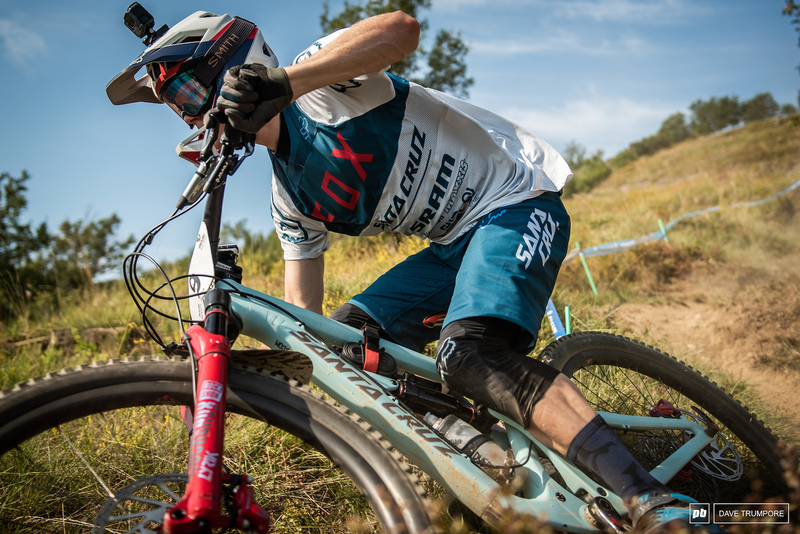 Shawn Neer seems to thrive in the dry and dusty conditions with a top 10 to start the season in Chile. So the conditions in Spain should definitely be in his favor. 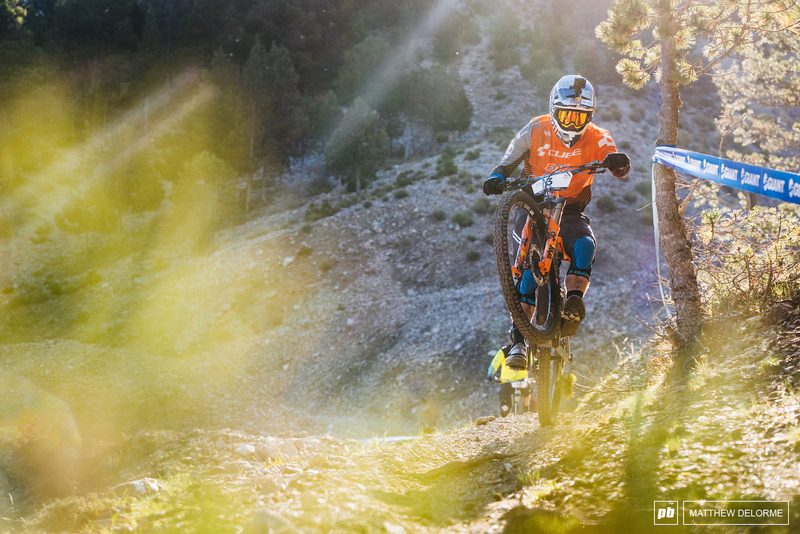 Lewis Buchanan gets rowdy off the start of Stage 2. 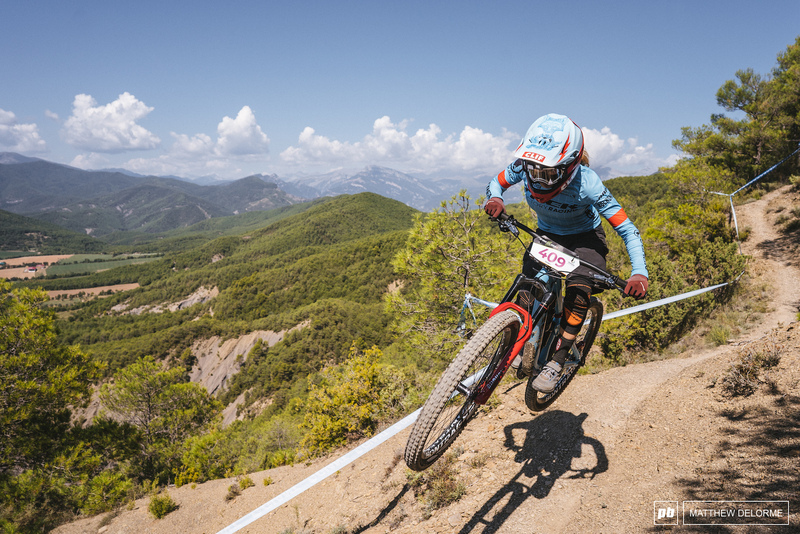 Bex Baraona en route to the top of Stage 1. 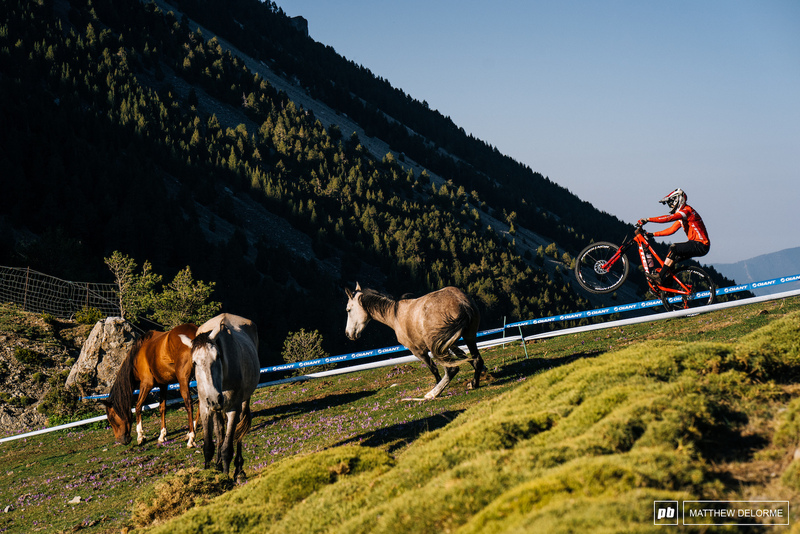 Ruaridh Cunningham clears the locals out of the way. Katy Winton looking to finish the season strong these last two rounds. They certainly suit her strengths. 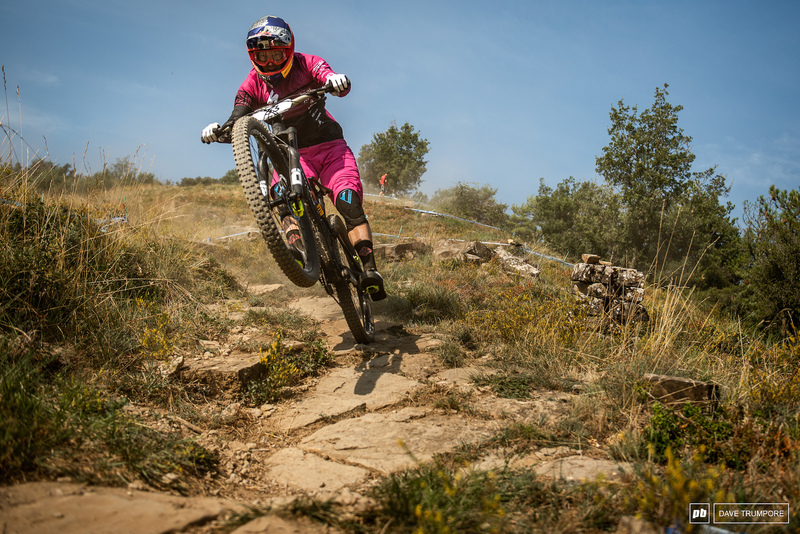 Katy Winton will find plenty of places to put the power down here in Ainsa. Isabeau Courdurier opens the taps on Stage 5. 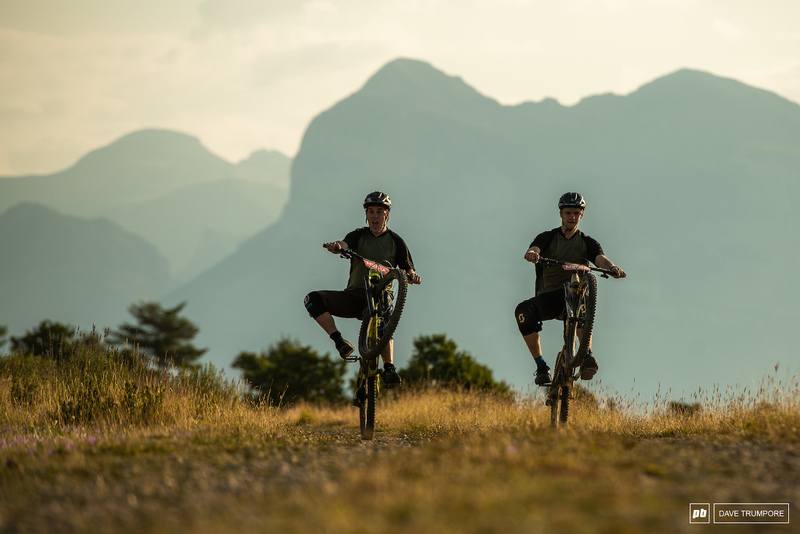 Jesse Melamed and Remi Gauvin test out a new speed tuck technique on the rather flat and physical Stage 1. Anreas Bretas just before things get twisted on Stage 5. 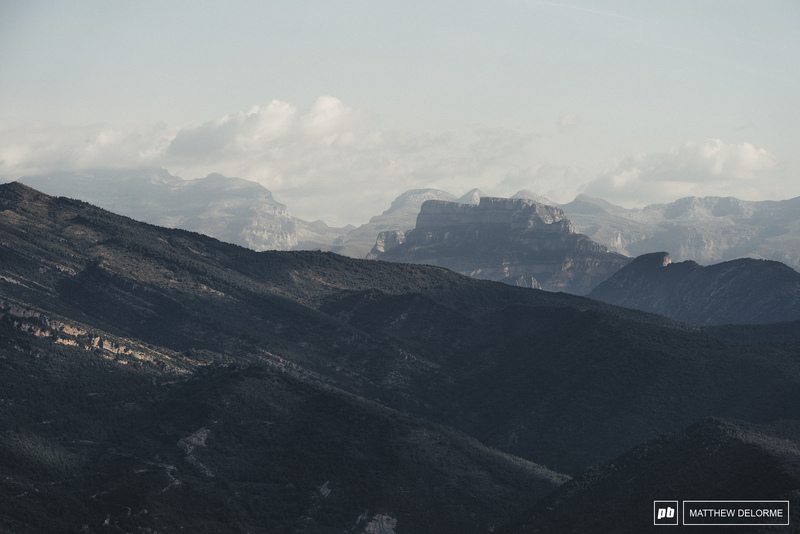 Sam Hill at the top of Stage 5 and all the views. 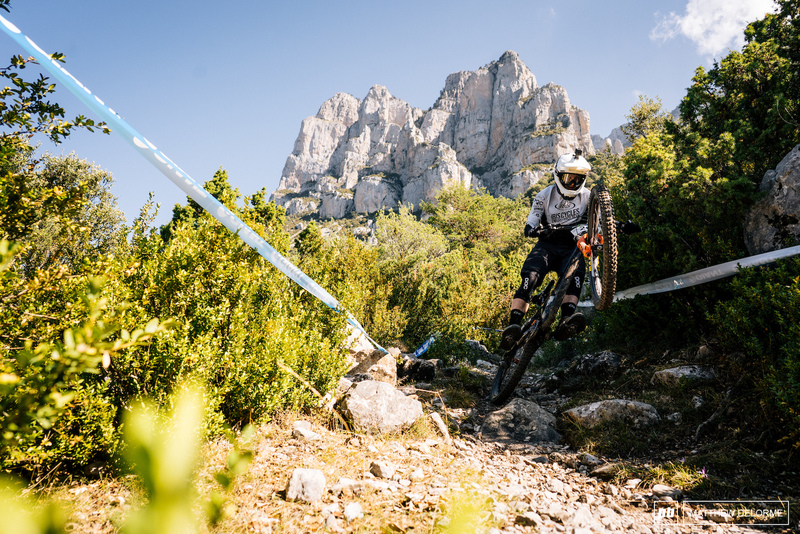 Martin Maes is on fire right now, and this could definitely be another winning weekend for the current fastest man in mountain biking. Best form around the tree goes to the series leader Cecile Ravanel. Iago Garay doing what he does best at the bottom of Stage 6. 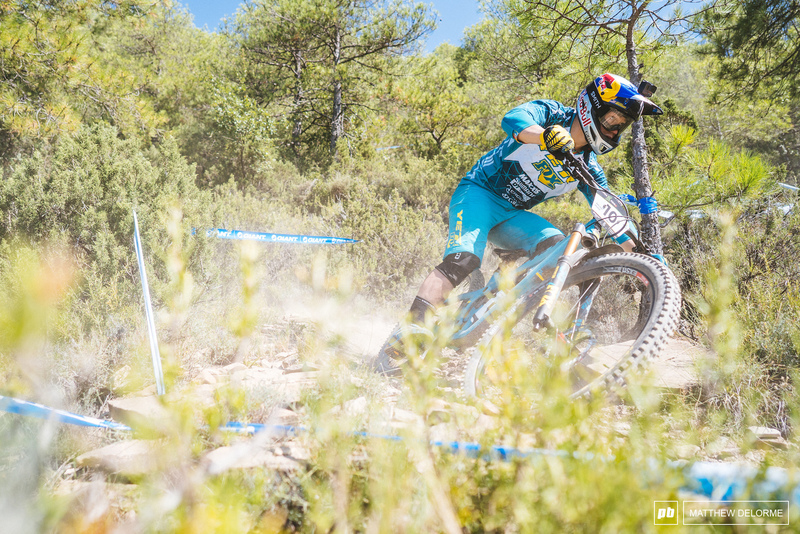 Sam Hill is still the man to beat, but Martin Maes is nipping at his heels. 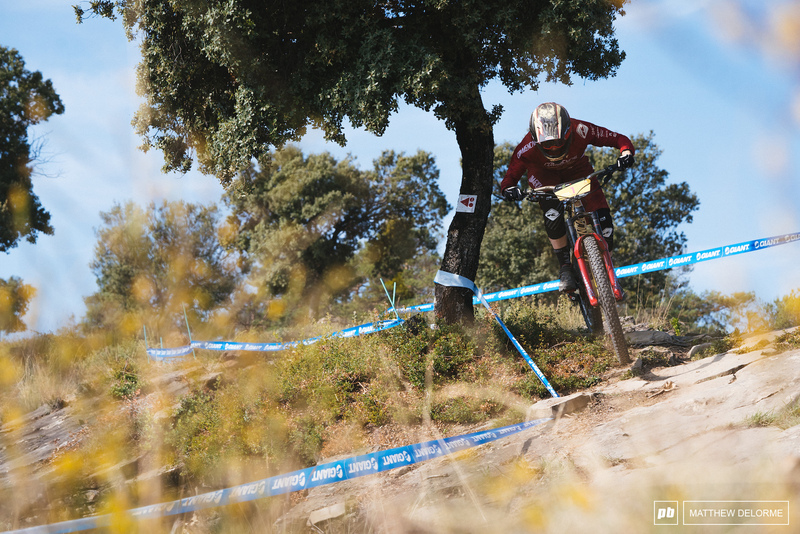 Greg Callaghan will be a threat here on the dry and dusty tracks of Ainsa. Jesse Melamed chopping corners off on the inside and gapping over ruts to find the fastest way down the tricky Stage 5. 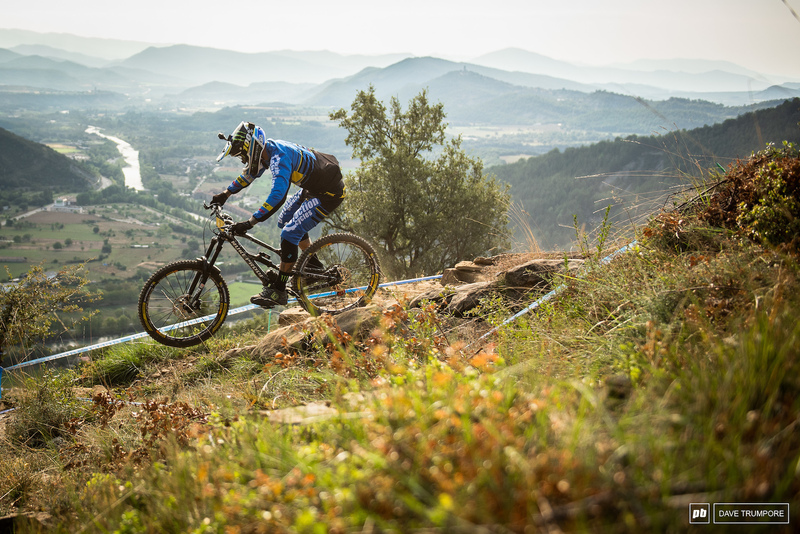 Sam Hill just has to keep things smooth and consistent these next two weeks to take home the championship. 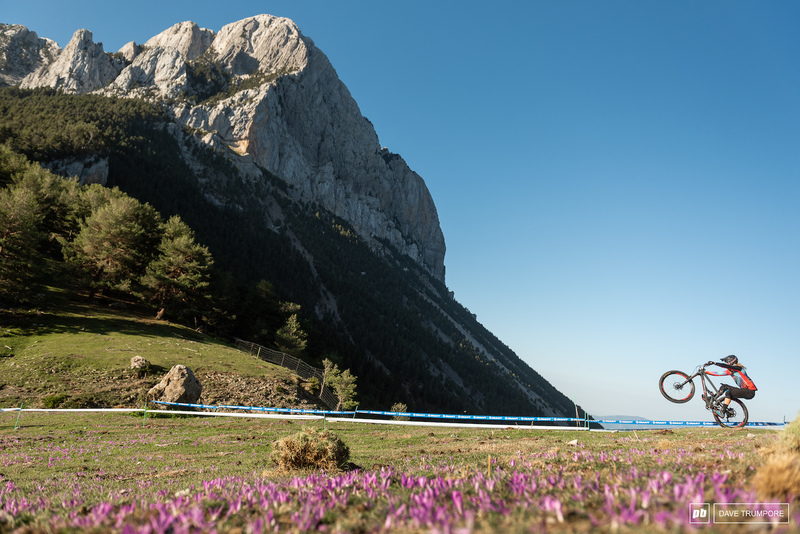 Robin Wallner is looking to work his way back up the standings after missing a round in La Thuile for the birth of his son. Some fun on the liaison to Stage 5. Isabeau Courdurier has a string of second place finishes this year and would love to break Cecile's winning streak this weekend. Curtis Keene getting aggressive in practice on Stage 5. Diving into high speed madness. Casey Brown came to Petzen / Jamnica on vacation mode and took third. Will she pull off a similar finish here? 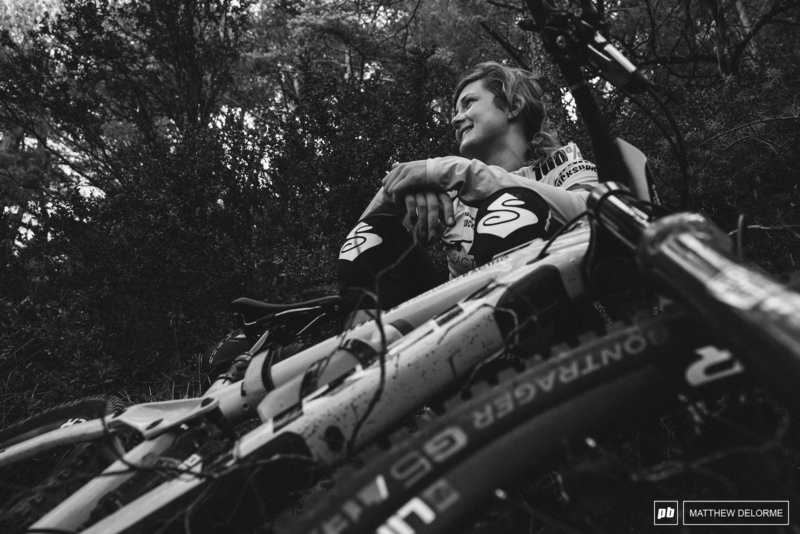 Richie Rude is hungry again and these trails suit his power. Can he take win number two this season? 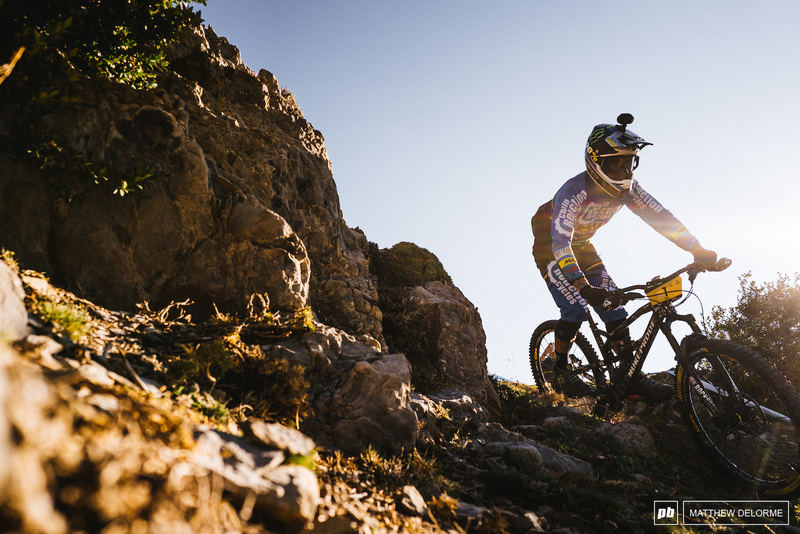 Remi Gauvin tries to find the fast and smooth route through the flat, rocky and awkward bottom of Stage 2. ALN dislocated a pinky finger in training, but a little tape seems to be doing the trick to keep her in the race. 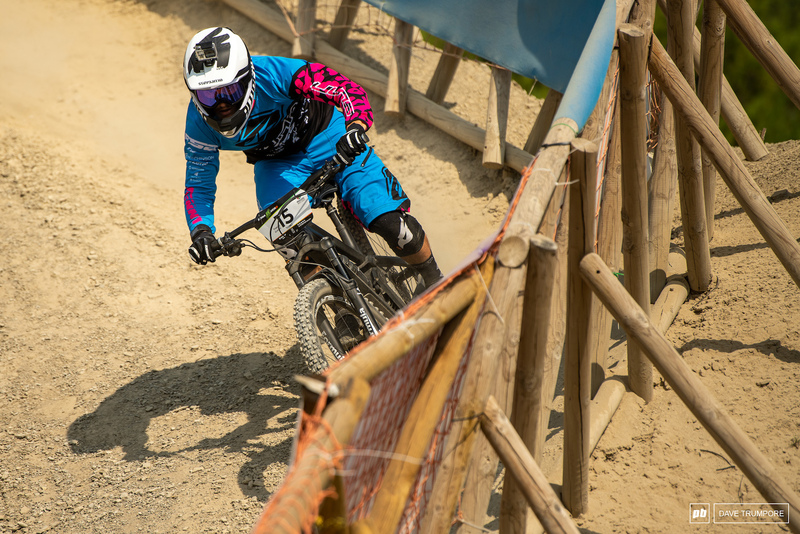 Luckily this fence stands between Theo Galy and a 50 meter cliff should anything go wrong around the speed corner. 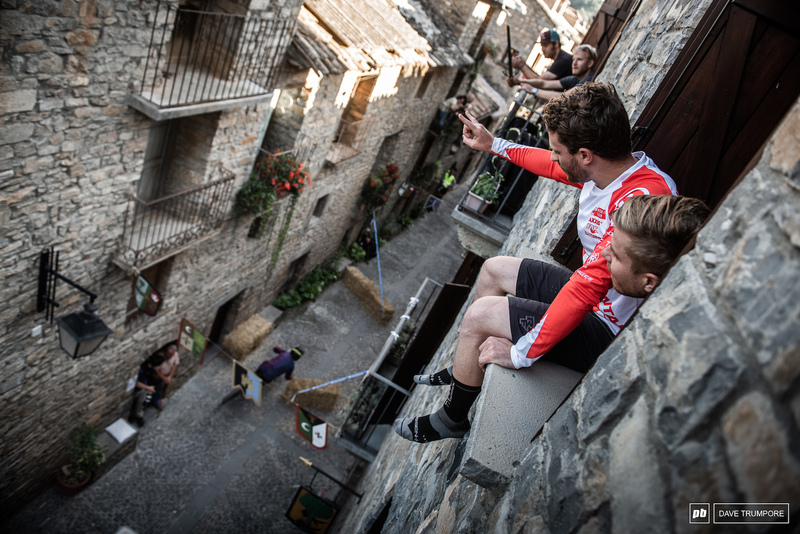 Jesse Melamed and Remi Gauvin enjoy a birds-eye view of the prologue from their apartment window. 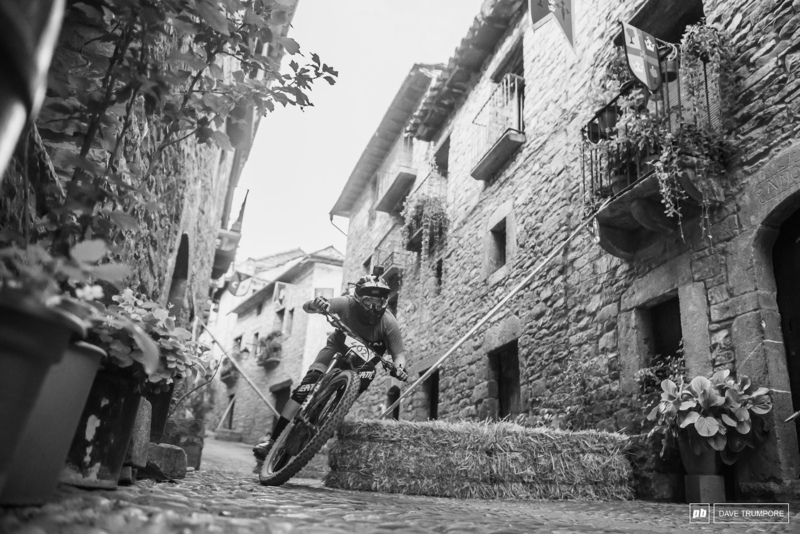 Keegan Wright out for a cruise through the streets of Ainsa. 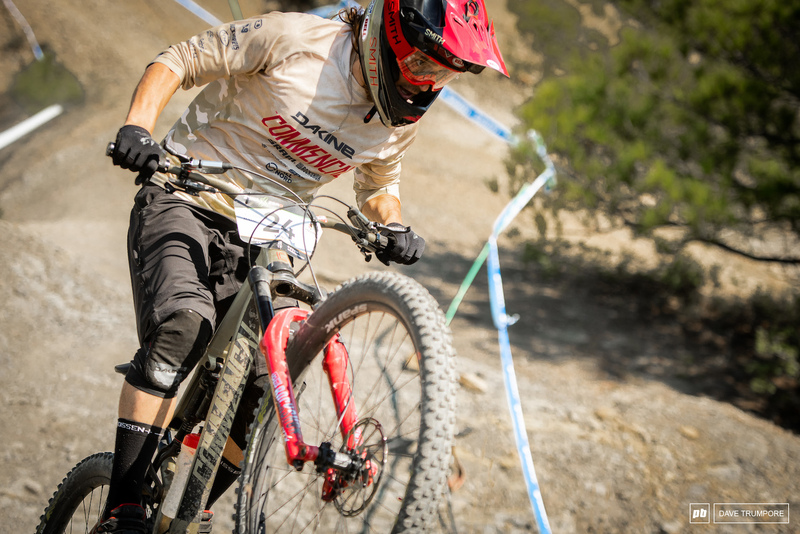 Martha Gill attacking the cobblestone slalom during Friday's prologue. Dave came down from his castle, but quickly returned. T Lap gives the crowd a salute before making the corner. Damien Oton yanks on the bars for zee fans. 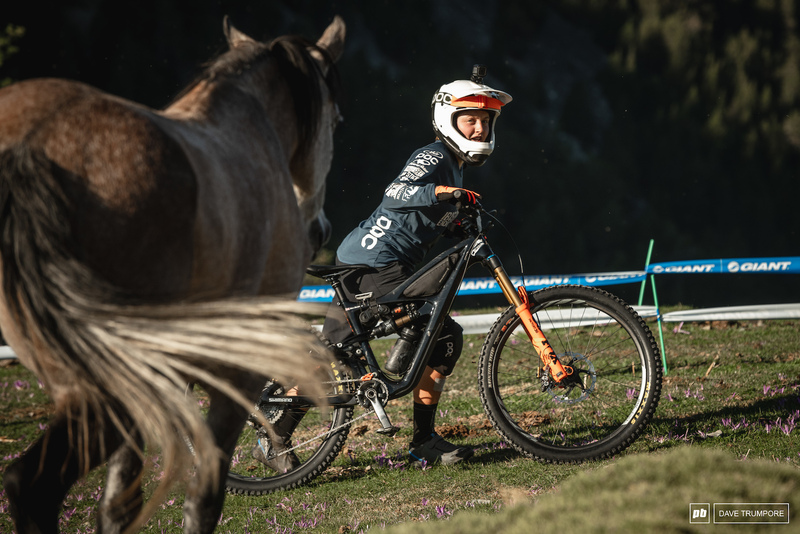 Bucking the trend of bigger wheels and longer top tubes, Cecile Ravanel decided to downsize a bit for the untimed prologue. 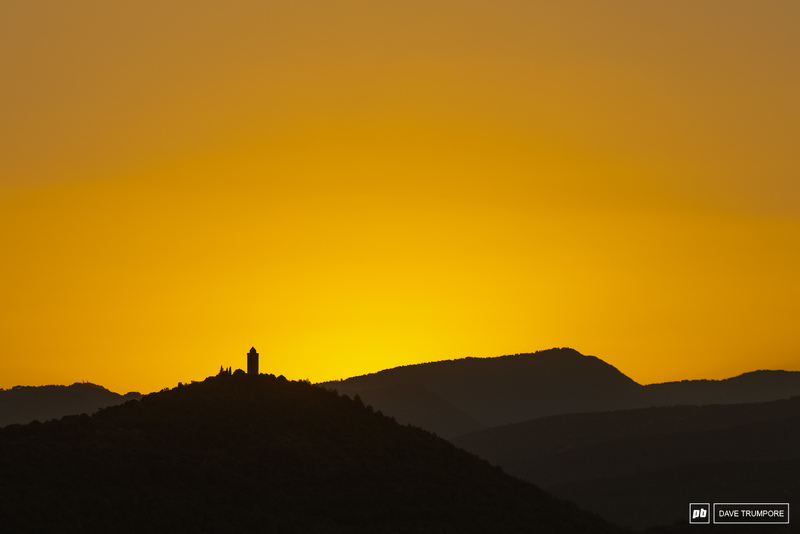 Another beautiful night to close down the last day of practice in Ainsa. Didn't recognize him at first, but that pink jumpsuit fits him well. 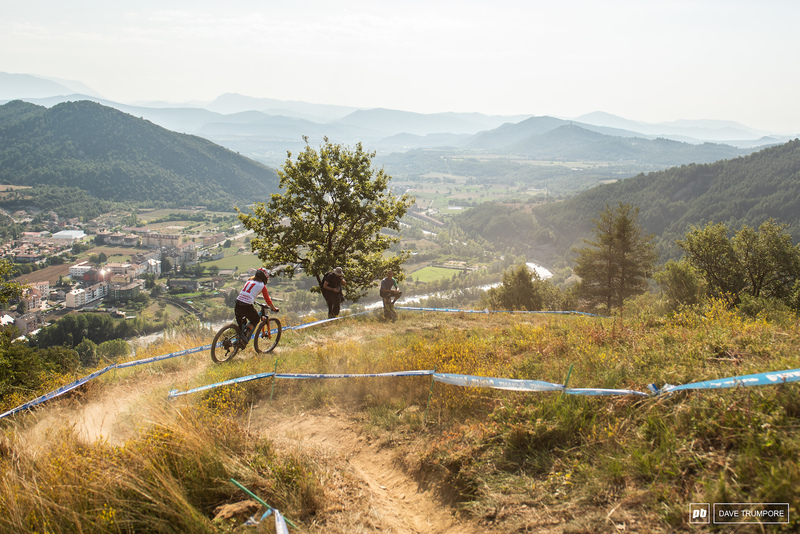 What a sick venue from the trails to the town. I can almost smell the amazing food that must be cooking as we speak. 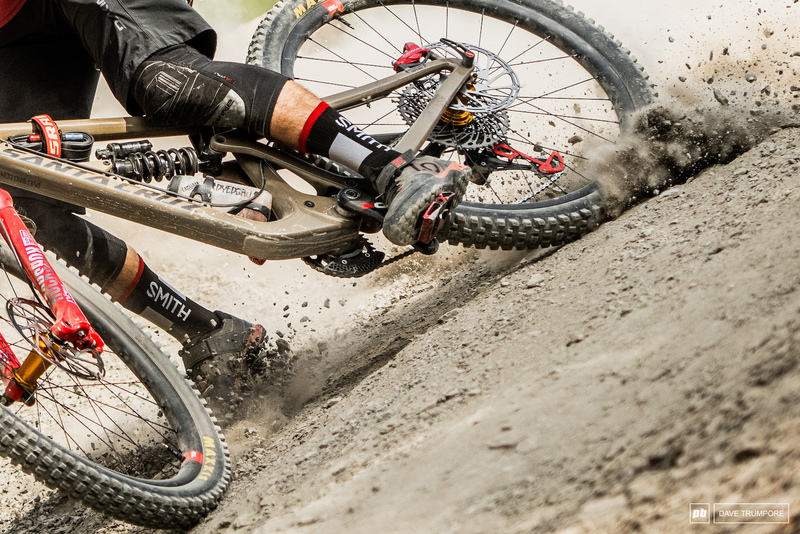 Looks like he's rocking Maxxis tires instead of specialized! Must be tired of all the flats. 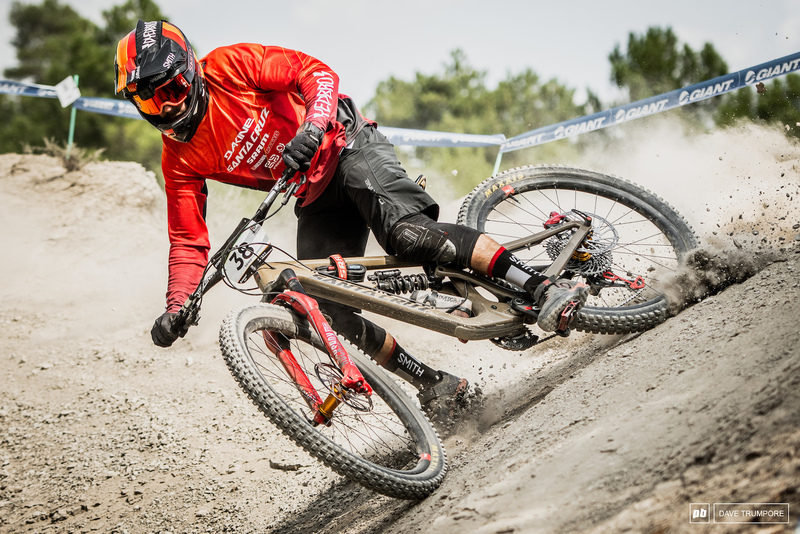 Ravanel is one of most entertaining riders. These photos are all time! Maybe it's the beers talking, but They really are great! Also. This venue looks spectacular. I envy each one of the riders that are there. Good luck @jessemelamed and @caseybrown! and all the riders. You are all special in your own way. Ya it's the beers talking. I don't think the venue is prepared to handle his excitement and energy if he does though. That's because the rain in Spain stays mainly, in the plain. Wow!Nice photos! 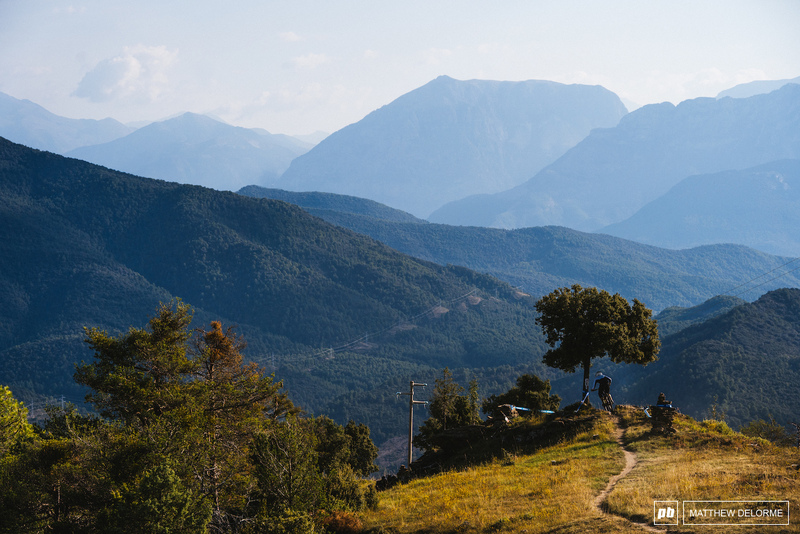 Ainsa is a rider paradise. So many good trails for the first day this year,Stage 1 is a portion of Maxiavalanche.It is like a trip this trail,so many different terrain and scenery,more than 10 miles of sick trails. 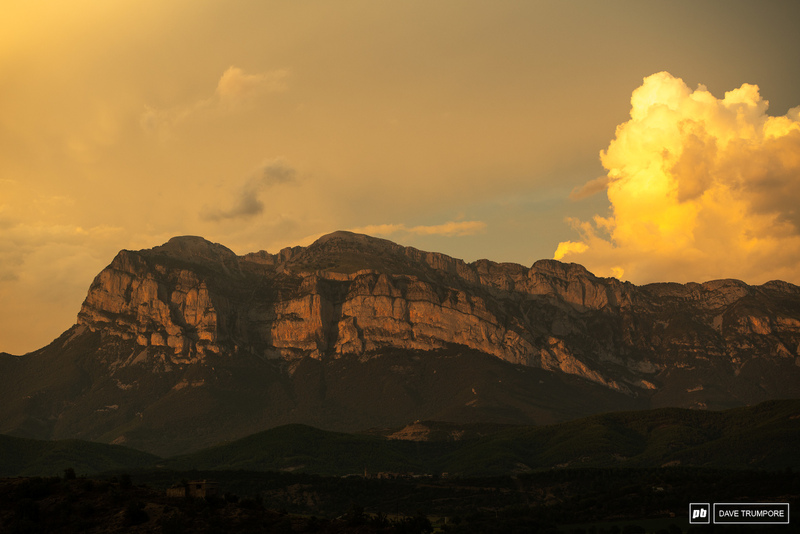 I think Oncis is one of the most paradise villages in Spain. 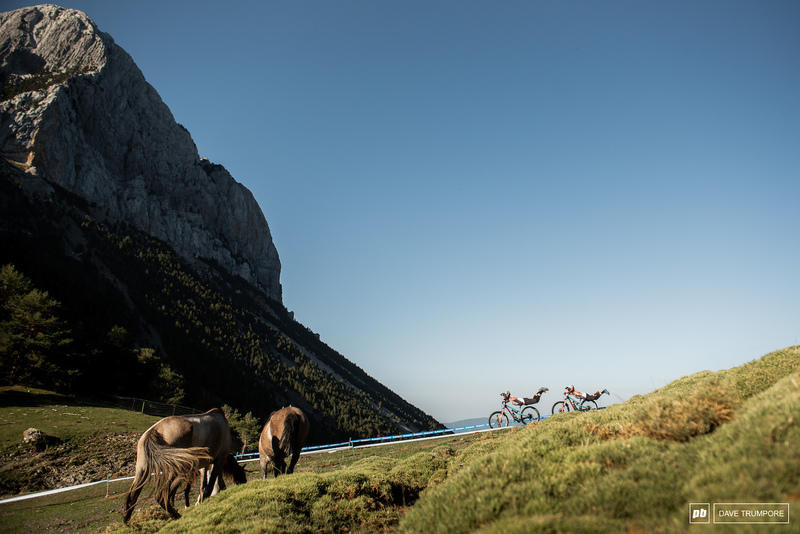 Is such a good pack of trails+scenery+awesome vibes about bikes. Casey Brown has such a great soul. The pic w/her & the horse is sweet. Werewolf? Where wolf? There wolf. Haha, that pic of Cecile is great. Gives a different perspective of her! Ravanel took only twice as long on a ridged kids balance bike. She is just fast no matter what she is riding. It's really cool seeing all the riders have a bit of fun with the stage though! Duuuude!! A Taiwanese guy on 6th place??!! If it was in 2015 and again in 2018 then surely that's a 2 year hiatus not 3... what logic is that? So we can say a 1 year hiatus for something that happens every year then. 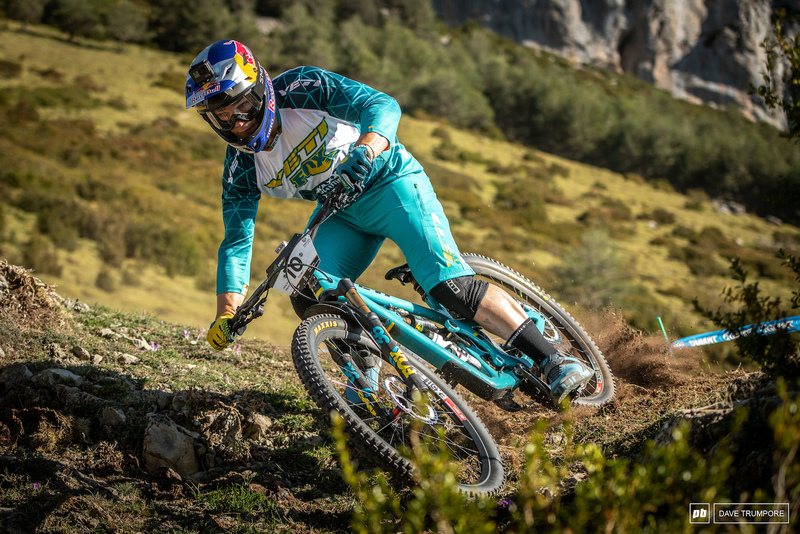 That pic of Casey Brown Is EPIC...….. I want a bike-check article on Ravanel's new sled. Fantastic photos, you can really feel the good vibe. 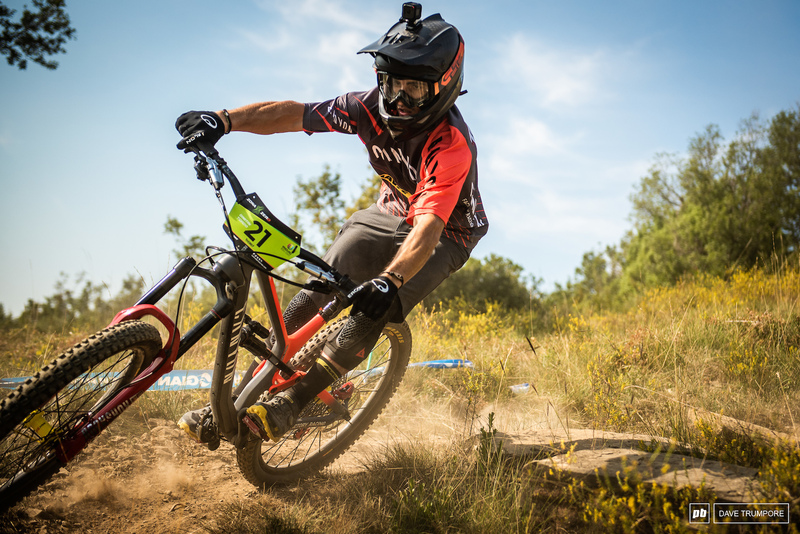 Can we get a bike check of that crazy carbon Sunn bike Theo Galy is riding? ?Como se dice...these pictures are great? You say it like this: "These pictures are great!" You almost got it right. Just replace the question mark with a period or exclamation point. Las fotos me ponen cachondo. Damn What is the width of Shawn Neer's bars! 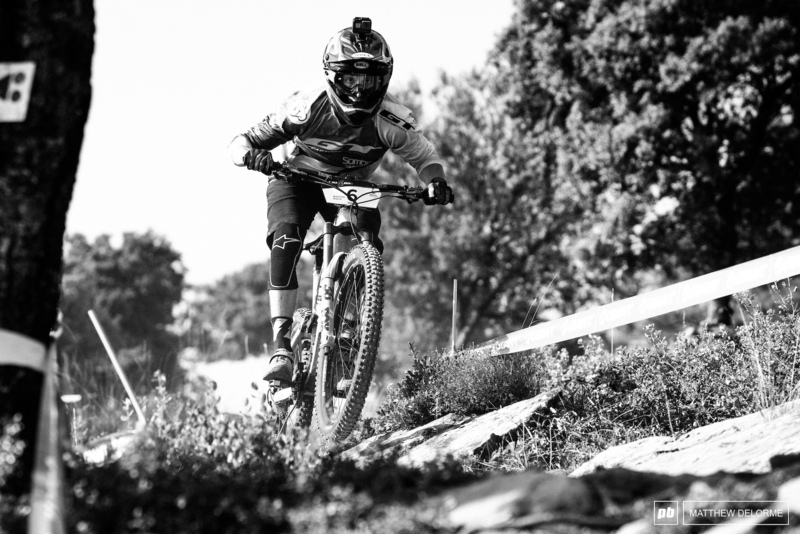 Ride hard for Jared Graves. All the SC riders on Bronson V2s? No, those are Hightower LT.
One practice run per stage.